A cataract is defined as “a clouding of the lens in the eye that affects vision,” according to the National Eye Institute (NEI). This disease of the eye is common among the elderly over age 80 and it can affect one or both eyes. Cataracts produces blurry vision in the eyes and usually requires surgery for correction. Early signs of cataracts start to show in middle-aged adults in their 40s or 50s, but they don’t really feel the serious effects until they’re in their 60s. Although cataracts is usually associated with the elderly, other types of non-age-related cataracts can also develop from trauma, radiation, steroids, diabetes, glaucoma, and genetic factors. How does cataract surgery help? This outpatient surgical procedure replaces your eye lens with an artificial lens. It is a very common procedure which does not require hospital stay after the surgery. Surgery after-care is extremely important in taking care of your eyes, and many surgeons won’t allow you to leave the hospital unless you have some post-operative support when you get home, including transportation to and from the surgery site. A-1 Home Care provides pick-up and drop-off services for surgery patients as well as 24-hour care immediately following the operation. We team up with local surgery centers like Lasik Vision Institute, NVISION Laser Eye Centers, and Lasik Anaheim Hills to provide you with optimal post-surgery eye care. Timely medication management, wound care, transportation to aftercare appointments, meal preparation, and assistance with house chores are all part of the post-operative care. A-1 Home Care is here for you as long as you need us, whether it be a week or a month after your operation date. Having a caregiver present is really important, especially if unforeseen emergencies pop up like a fever or persistent, increasing pain. To get a free quote, call A-1 Home Care today (714) 523-4010 or visit us online www.anaheimhillsinhomecare.com for more information on after-surgery care. In addition to Anaheim Hills, post-surgery services are also available in Yorba Linda, Fullerton, Villa Park, Fountain Valley, Westminster, Costa Mesa, Huntington Beach, Newport Beach, and other cities throughout Orange County. Alzheimer’s Disease is a form of dementia that affects an individual’s ability to remember and communicate. Conversations can be a frustrating experience if family members do not educate themselves on the impact of Alzheimer’s Disease on their loved ones. It’s hard for seniors to think on their feet; oftentimes words don’t come to mind when they are trying to express emotions or communicate an opinion. Other symptoms of Alzheimer’s also include problems with concentration, hypersensitivity to the environment, confusion with language, inability to filter out background noises, and remembering simple steps such as balancing a checkbook. When family members cannot stay home to take care of their loved ones, they rely on attentive caregivers and companions to assist their elderly loved one. A-1 Home Care provides experienced companions to take care of daily routines such as bathing, grooming, personal care, meal preparation, and much more! If you need overnight care for your loved one so you can get a full night’s sleep, A-1 Home Care is here for you! If you need someone on stand-by to make sure that no accidents happen while you’re away at work, A-1 Home Care will see to it that your loved one will not be neglected. To get a free assessment today, please call A-1 Home Care (714) 523-4010 or visit our website http://www.anaheimhillsinhomecare.com for a more comprehensive list of services we offer. Affordable Alzheimer’s Care is available in Anaheim Hills, Yorba Linda, Corona, Villa Park, La Palma, Costa Mesa and other cities in Orange County. What do soda, coffee and tea have in common? These beverages all have tannic acid, a certain type of chemical that is harmful for the joints. Although recognized as “safe” by the Food and Drug Administration, the widespread use of tannin acid in drinks has caused a myriad of health problems gone undetected in their connection to popular beverage consumption. Among these health problems are heart burn, indigestion, ulcers, cancer, intestinal damage, and arthritis. Studies show that high consumption of tannic acid decreases bone density and interferes with the body’s ability to absorb calcium. This leads to arthritis, an inflammatory disease of the joints. Symptoms include insomnia, muscular aches and pain (especially during movement), disfigured hands and feet, weight loss, and fatigue. Due to pain during movement, most people who suffer from arthritis are reluctant to exercise, yet physical exercise is the very thing that can help alleviate the symptoms of arthritis. Caregivers, home health aides, and companions are helpful when it comes to executing the doctor’s orders for your loved ones. They provide emotional support, motivation and physical assistance in the comfort of your own home if family members are away at work or carrying on with their own lives. To learn more about the benefits of Arthritis Care, call A-1 Home Care (714) 523-4010 or visit our website www.anaheimhillsinhomecare.com for services in Anaheim Hills, Villa Park, Fullerton, Yorba Linda, and surrounding areas. Connect with us on Facebook or Twitter to see our involvement with your local community! Acute Renal Failure (ARF) is the medical term for Kidney Disease when the kidneys stop functioning. ARF usually results from dehydration, toxins in the blood, damage to the kidneys, traumatic injury, pregnancy complications and obstruction of urine flow. Kidney Disease will most likely occur if athletes do not drink enough water, especially during long-distance endurance events, like marathons. When one or both kidneys start to fail, the individual will experience nausea, ankle swelling, insomnia, and dyspnea (shortness of breath). Dealing with ARF can be taxing on one’s mental and emotional health. That is why it’s important to have a caregiver who is compassionate, experienced, and knowledgeable about Kidney Disease. A-1 Home Care offers exceptional live-in and live-out in-home health care service through their caregivers, home health aides, private duty nurses, and companions. They assist with regular blood pressure check, medication reminders, and special diet orders from the doctor. A-1 Home Care provides Kidney Disease Care in Orange County communities like Anaheim Hills, Yorba Linda, Tustin, Corona, Fullerton, Costa Mesa, and other surrounding cities. To stay up-to-date with events at A-1 Home Care, visit our Facebook and Twitter pages! Multiple Sclerosis (MS) is an inflammatory disease which directly affects an individual’s speech and has a host of other neurological symptoms. Also known as disseminated sclerosis or encephalomyelitis disseminata, MS is possibly caused by the shut-down of the immune system or the inability of cells to produce myelin, which is vital in order for the nervous system to function properly. MS can occur in isolated incidences or build up over time. An individual who suffers from MS may experience tingling, muscle spasms, loss of sensitivity, mood swings or depression, and other symptoms arise from the lesions within the nervous system. A-1 Home Care provides exceptional Multiple Sclerosis Care in the cities of Anaheim Hills, Tustin, Corona, Fullerton, Yorba Linda, and surrounding cities. Our compassionate caregivers, home health aides, private duty nurses and companions have a wide range of experiences and are very helpful to families who are in need. For more information about our affordable live-in and live-out care, please call (714) 523-4010 or visit our website www.anaheimhillsinhomecare.com. To stay up-to-date with current events, please also visit A-1 Home Care through our Facebook and Twitter pages! Lou Gherig’s Disease, otherwise known as Amyotrophic Lateral Sclerosis (ALS), affects an individual’s ability to voluntarily control his muscles. This motorneurone disease starts with the degeneration of motor neurons within the brain and spinal cord due to malnutrition. When muscles receive insufficient nourishment, that region starts to deteriorate and “harden” (sclerosis). 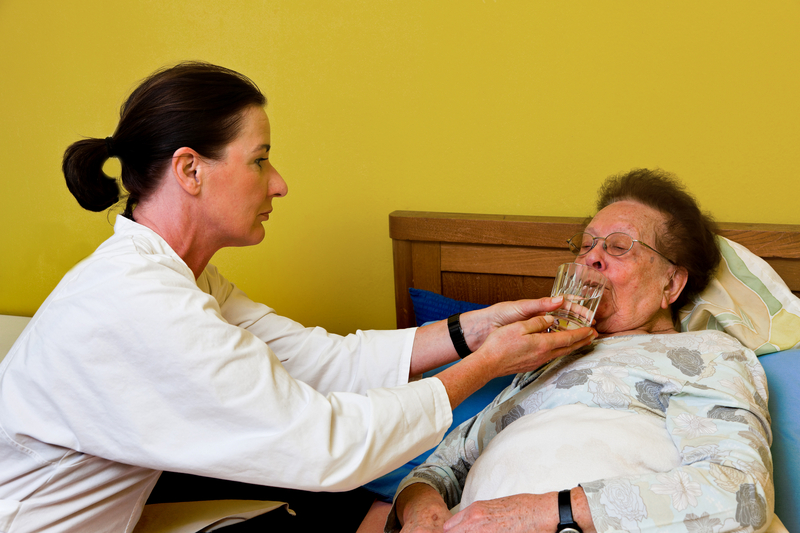 Early symptoms of ALS include dyspnea (difficulty with breathing), dysphagia (difficulty with swallowing), and dysarthria (difficulty with speech). In the late stages of Lou Gherig’s Disease, the atrophy of muscles is so far advanced that the individual loses total control over the voluntary movement of his muscles and becomes completely paralyzed. Although there is no known cure for Lou Gehrig’s Disease, the affected individual can obtain care from family and friends who gain as much knowledge as possible about ALS. As the in-home health care trend becomes more widespread, seniors are opting to stay at home to receive in-home health care in the comfort of their home environment. A-1 Home Care provides specialized non-medical care for individuals with ALS. Our in-home health companions, hospital sitters, home health aides, and caregivers are professionally trained and knowledgeable about the disease so that family members do not have to worry about their loved ones. Allow us at A-1 Home Care to provide personal round-the-clock care, live-out or live-in care, so that you can put your mind at ease. A-1 Home Care serves the communities of Orange County in Anaheim Hills, Yorba Linda, Fullerton, Orange, Anaheim, Corona, Tustin, Santa Ana, and surrounding cities. Call us now (714) 523-4010 or visit our website www.anaheimhillsinhomecare.com. Stay connected with A-1 Home Care through Facebook and Twitter! Good nutrition habits and knowledge for Elderly and Senior individuals is of vital importance for reaping the various health benefits of food. Certain foods and vegetables can aid in lowering blood sugar or blood pressure levels, improving eye health, or fighting off chronic diseases that come with aging. Nobody likes to eat a plain and repetitive meal, which is why exploring different types of food is of great importance, especially for Elders whose favorite time of day is breakfast, lunch, and dinner! Check out this article that gives some suggestions for summertime foods and snacks that have more health benefits than you may have known. Among the types of food mentioned are watermelon, iceberg lettuce, party dip, popcorn, and spices. Some Elders and Seniors may have difficulty enjoying their food without sauces, and spices are a great alternative to enhancing the flavor of food in addition to having health benefits. At A-1 Home Care, we want to help your Elderly or Senior loved one gain all the benefits that come with eating healthy and nutritious meals. From grocery shopping to meal preparation, our caregivers can help your loved one improve their health on a daily basis with freshly cooked meals so that your loved one doesn’t have to eat frozen foods and TV dinners that may be easy to prepare, but not so beneficial for health. A-1 Home Care is a non-medical homecare agency that provides a variety of in-home care services for Elderly, Senior, and Terminally Ill individuals on a 24 Hour Live-In Care or Hourly Care basis. We specialize in care services such as Arthritis Care, Alzheimer’s & Dementia Care, Diabetic Care, Heart Attack Care, Lou Gehrig’s Disease Care, and more. We serve the OC communities of Anaheim Hills, Santa Ana, Tustin, Irvine, Garden Grove, Villa Park, Brea, Fullerton, Yorba Linda, Diamond Bar, La Habra, Los Alamitos, Newport Beach, and others in Orange County. Call us today to interview and hire a compassionate caregiver in your area at 714-523-4010! For individuals who are hiring a caregiver for the first time, it may be difficult to know where to begin. At A-1 Home Care, we understand the need for urgent help for care of a loved one because it’s impossible for you to provide full-time care. This article titled 10 Tips for Hiring and Employing a Caregiver should help you get started. It provides a list of questions you should ask the home care agency, questions you should ask caregiver candidates, and things to do after you hire a caregiver to ensure things are running smoothly. At A-1 Home Care, we offer Live-in Care for Elderly, Senior, and Terminally Ill individuals on a 24 hour basis or hourly part-time basis. Our caregivers, nurse aides, and companions must have prior experience, verifiable professional references, a National Background Check and DMV Check, Tuberculosis testing Malpractice/Liability insurance, First Aid/CPR training, and a personal interview with our office staff. A-1 Home Care is a non-medical homecare agency that is Licensed Bonded and Insured since 1991 with an A+ Rating from the Better Business Bureau and Shield Accreditation. We specialize in Elder Care services such as Live-In Care, Alzheimer’s Care, Parkinson’s Care, and more in the communities of Anaheim Hills, Corona, Yorba Linda, Fullerton, La Mirada, Villa Park, Irvine, and others in Orange County. 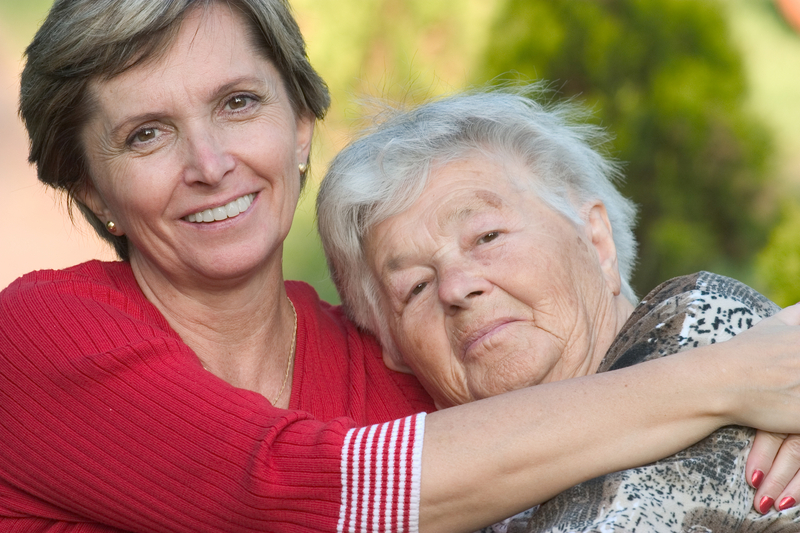 To hire a compassionate Live-In caregiver today, CALL us at 714-523-4010.